I’m a seasoned writer and wine blogger, about to hit 300 blog posts over here on Wine Predator (and 1300 on Art Predator! 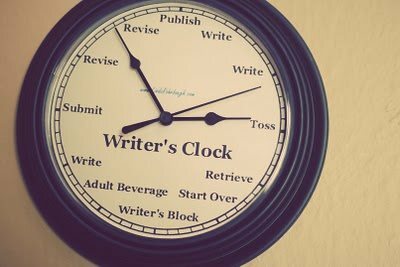 ), but even if you’re a beginning wine blogger, with only a few blog posts and wine samples under your belt, you can probably relate to this Writers Clock! I do have two revisions: instead of “Toss,” it should be delete or trash, then undo! And instead of “Submit,” it should be “Preview”! 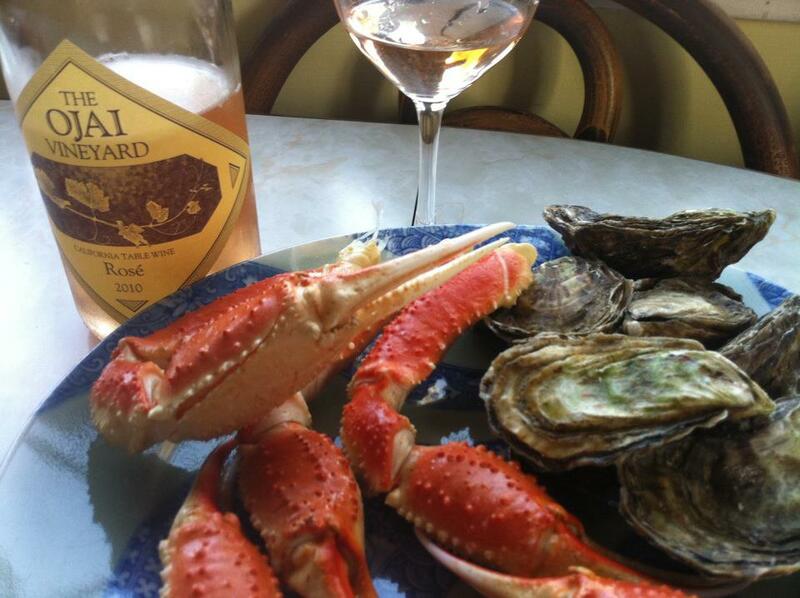 The Ojai Vineyard rose is also interesting with oysters, which is what I’m enjoying right now: they bring out the minerality in each other, more complexity in both the Pacific and the kumamoto oysters and the rose. Not a sweet but a tangy tangerine, rose flower and dried petals, dried apricot on the long finish. Barrel fermented in older oak, it’s got a real cork closure, it clocks in at 13% alcohol, and less than 600 cases were made. join the club like I did and you won’t miss out! With my club discount I think it was about $15. PS If you’re experiencing some writer’s block and you just don’t know what to write about, check out this month’s Wine Blogging Wednesday prompt–and when the clock strikes “Adult Beverage”–open a bottle of Barossa! Blog posts are due Weds. April 25. ← Shannon Ridge Wines & Lamb Recipe –for your Easter dinner or spring gathering! Oh but Thea my dear wine blogging friend, it chimes on the hour every hour! Day and night! at least 16 of those hours are appropriate for wine blogging! Do you know what time it is? That’s right, it’s time to write, write, write, and revise revise revise! And then it’s time for an adult beverage or two! If you want tips in that department, click on over to Wine Predator! PS Happy National Poetry Month! Are you writing any poetry?